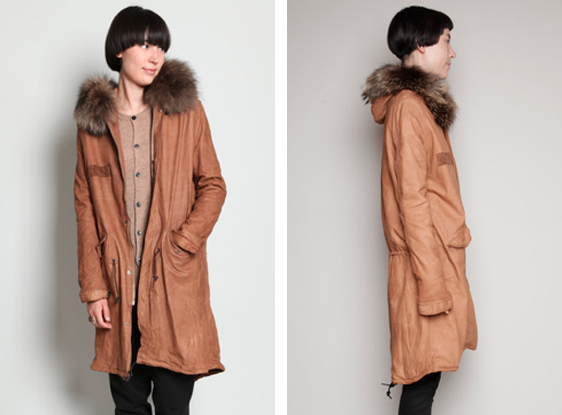 I recently discovered Sisii, a japanese label that makes leather outerwear. Washed leather. 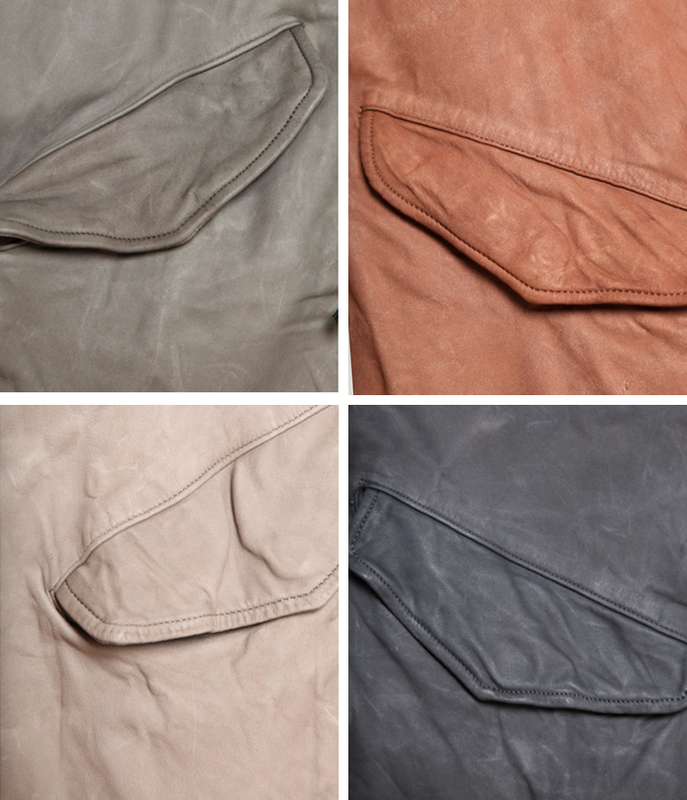 Washable leather. Yup, you heard right. Washable leather. I have seen these in person and I have to say the effect of the leather treatment is amazing. They look like aged, worn-in canvas, they drape like heavy fabric, but they feel buttery soft like only good leather can. Truly amazing. 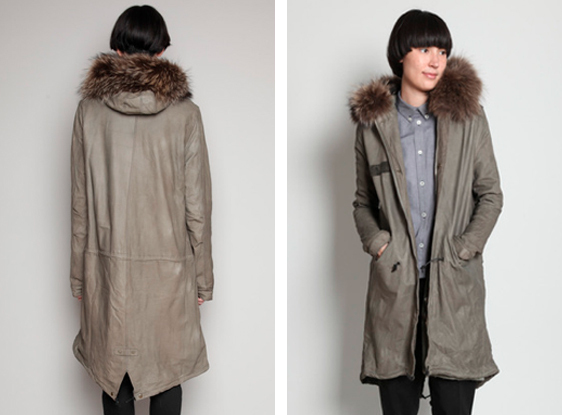 This fishtail parka over at Totokaelo is available in all these scrumptious colors. Thanks! It does look like the kind of store I could get lost in. If ever I find myself in LA I will do my best to check it out. Thanks for the recommendation! Looks amazing. When I'm in Seattle, I always go to Totokaelo and drool like a mad woman.